As unicode becomes the de facto standard for text encoding and representation in computing, a number of universal fonts have pushed to include as many unicode characters as possible. However they have not paid attention to regional differences in representation. 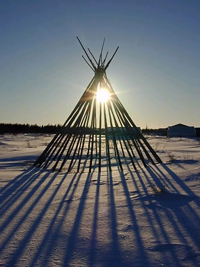 When it comes to Eastern James Bay Cree (a.k.a East Cree) syllabics this is very much the case. 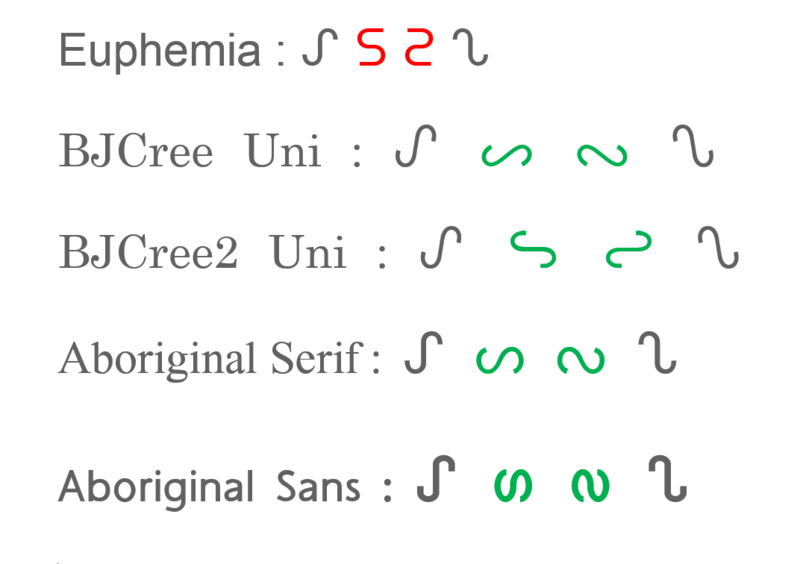 Although some unicode fonts may contain syllabics, often the orientation may be out of alignment with the regional orthography. In the case of the East Cree, one such scenario the sh+vowel. Below is a illustration of Correct vs Incorrect orientation of East Cree syllabics.